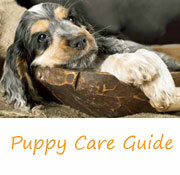 Puppy Care Tips & Advice To Help You Raise Happy A Spaniel! Need some puppy care tips and advice for your new Cocker puppy? Just like a new baby, your little man will benefit from a strict care routine and the sooner you set one up for him the better! Get practical step-by-step advice on how to be a good puppy parent. A sound puppy care routine will give your Cocker a sense of comfort and well-being and to give you an idea of what his daily routine should look like, here's my handy guide to your puppy's daily care. 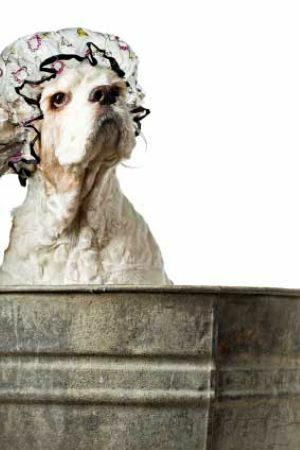 teach your puppy to enjoy his grooming sessions! stimulate your puppy’s mind with lots of fun playtime! he may only be little, but he still needs exercise. During those first few months your puppy will take lots of ‘power naps’, but don’t worry about it because at this age sleeping is an essential part of your puppy's development. As your Cocker pup gets older he’ll need less sleep during the day and he'll do more of what puppies do best; exploring and getting up to mischief! 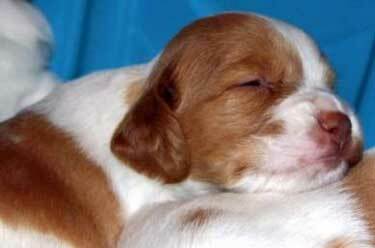 Make the most of these precious puppy days and enjoy watching your little cherub sleeping quietly while you can! If you haven't already considered it, I heartily recommend that you crate train your puppy. At first, many new owners think it's cruel until the benefits of crating their puppy are explained to them and then they realize that a crate is a very secure place for their pets and that it offers many benefits to both them and their dog. 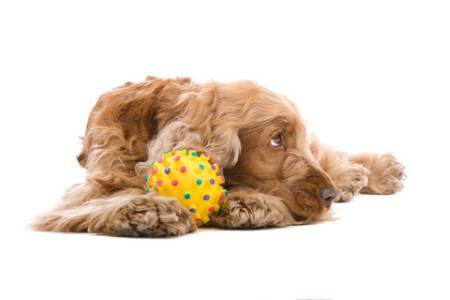 As part of your puppy care routine, it's best to get into the habit of putting your Cocker into his crate after an activity, for example, after eating, playtime, or training. Your pup will probably be tired and if you give him a little cuddle first to help relax him it won't be long before he drops off to sleep. While your pup is in his crate, check on him from time to time to make sure he’s still asleep, especially if he’s not yet fully house trained because the first thing he'll want to do when he wakes is pee! As soon you see him stir, take him outside to his toilet area and encourage him to do the business. Don't forget to praise him if he pees to show him that's what you wanted him to do. I’m often asked for advice about a puppy’s bedtime routine during the first few nights at their new home so I added a section about a new puppy’s night-time sleeping - just follow the link. 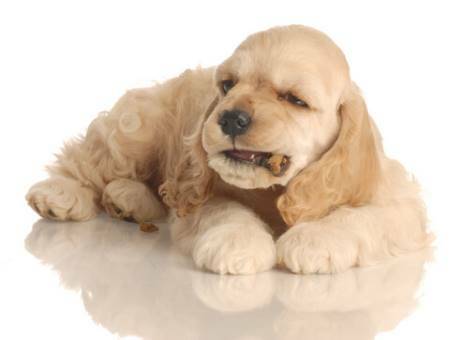 Set up regular feeding times as part of your puppy's care routine and don't be tempted to feed him in between meals - a few treats given as a reward for successful puppy training sessions should be the only exception here. Feeding your puppy with the best nutritious dog food you can afford right from the start is essential if your puppy is to grow strong and healthy. Always follow the breeder's feeding instructions, or the food manufacturer’s recommendations, and make sure your puppy has plenty of fresh water in his bowl each day and that it's topped up when necessary. This is especially important if you feed your Cocker kibble as it doesn't contain much water. Feeding tends to stimulate a puppy's bowels, so you may need to take him outside again after he's finished eating - in fact, it's advisable to do so! Although your puppy will try to hold it in, (if he's crated) his young bladder won’t yet be strong enough, making it highly likely that he’ll pee as soon as he wakes up. So, while you're still potty training your puppy, it's important to take him outside as soon as he wakes. Your goal here is to help him to avoid having little accidents indoors; don't let peeing indoors become a habit as habits are often hard to break. If you're too late and he's already messed in his crate, please don't scold him. He can’t help it and you weren't there to let him out. It's down to us as 'doggie moms' to make sure we take our puppy outside at every opportunity. Stay outside with him until he's pee'd or poop'd and if he 'does the business, praise him really enthusiastically before bringing him back inside. You'll need to take him outside many times a day (at the very least, hourly) until your Cocker Spaniel puppy understands what's required of him and he's fully house trained. If you'd like to learn how to potty train your puppy, just follow the link. I cannot stress how important socialization is for all puppies. 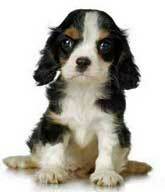 Your breeder will have started socializing your puppy while he was still with his mother. It's vital that your Cocker is socialized from birth and that you continue socializing him up until he's at least 12 months old. Don't put it off either as you'll only have a very short time span in which to do it (even though is needs to be continued until he's an adult Cocker). Encourage your little boy to explore his environment. He should be exposed to everyday household domestic appliances, such as vacuum cleaners, hair-dryers, washing machines, coffee grinders, to help him get used to sudden noise, light and vibration. As part of his socialization and puppy care routine, your Cocker should be meeting many different kinds of people, such as small children, crying babies, men and women in uniforms, men with beards, people with umbrellas - the list is almost endless. I can't stress enough that socializing your Cocker Spaniel is a very important part of any puppy care routine. Puppies that have been properly socialized are likely to grow up to be well-adjusted, confident, happy Cocker Spaniels. Puppies that aren't socialized, or are given too little socialization, may become very timid or aggressive, and could develop behavioral problems later in life. 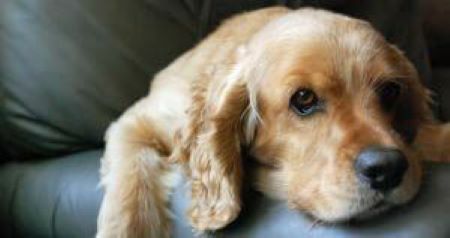 Puppies don't like being left alone and many suffer from separation anxiety if left for long periods of time. It's heartbreaking to witness your puppy becoming so distressed each time you leave, and then there's the destruction to your home to contend with. The good news is, you can teach him to be happy on his own; puppy separation anxiety can be managed! Puppies that are handled often will be better socialized than those that are not and as a result are less likely to develop behavioral problems later in life. It's essential that you (and your family, friends too - the more the merrier!) pick up and cuddle your puppy at every opportunity so that he becomes used to being handled by people. Now I don't suppose that'll be too difficult, will it? Puppies are so darned cute! While you're handling your pup, talk to him. If you've already chosen his name, say it to him while you pet him so that he becomes used to the sound of your voice and his own name. Examine and touch all areas of him regularly; his eyes, ears, mouth, teeth, bottom and 'boy bits', tummy button, and paws...especially the front paws. Frequent handling of these areas will help your pup to become accustomed to touch which will pay dividends later in life, for example when your groomer needs to work on him or when your vet needs to examine him. Begin grooming your puppy from day one. Yes, I know he won’t need it, but it really is essential to get him used to the sensation of being groomed so that when his coat and feathers are beginning to grow, and he's ready to be brushed and/or trimmed, he'll sit quietly for you or your groomer and won't be startled by any of the grooming tools used. Your puppy will need to be bathed from time to time and how often will depend upon where he plays, where he's walked, and how dirty he gets. It's best to get him used to this too, while he's still a young pup, because if you leave it until he's a fully grown dog before bathing him, you may be in for a very difficult time! Discover the best way to bath your puppy without tears and tantrums! When your little puppy's new teeth begin to come through, they can cause a lot of pain for your Cocker and he'll begin to bite and chew on anything he can to help relieve his pain. Naturally, you'll want to help your buddy do this by giving him specially designed teething toys and rings to chew on. If you catch him chewing something you don't want him to, simply exchange it for one of his chew toys. He'll soon get the message and understand that he can happily chew so long as it's one of his own toys. If he's not 'getting the message' and he's still chewing (your new shoes or your favorite book!) 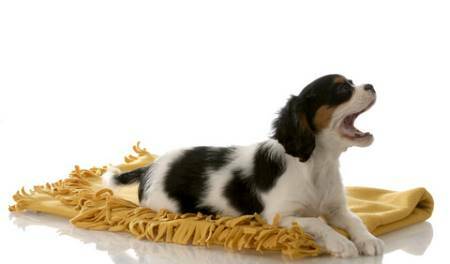 you’ll find these top tips on how to stop your puppy chewing very useful. And if it's your fingers (or any other part of you) that he's biting, you can learn how to stop your puppy biting here. And while we're still on the subject of puppy teeth, when they do eventually come through, you'll need to help him keep them clean by brushing them regularly. Unfortunately, the practicality of brushing his teeth may not always be so straight forward. Anyone who's ever tried to brush their dog's teeth will know what I mean! However, if you take a very gentle approach your pup will gradually become used to the feel of a toothbrush in his mouth and will soon learn to sit quietly while you brush. Start brushing your puppy's teeth as early as possible so that he gets used to his teeth being brushed as part of his normal grooming routine. At first, you may need to persevere, but once you and your pup get used to it, you'll wonder what all the fuss was about! We also play 'Hide the treats', which is currently our favorite game. I ask Max to ‘sit and stay’ while I hide treats all around the house (very small treats - I don't want him to become overweight!). When I've hidden all the treats, I release him and say the words, ‘Go find them’ and he’s off like a rocket! We also play fetch with his ball until one of us gets tired – guess who that is? Believe it or not, playing games doesn't always come naturally to all puppies, sometimes they need to be taught how to play games! Your puppy will probably be too young to be taken to public parks just yet, however it's important that he's exercised every day. You can play in your garden, but make sure it’s fully secure. If it’s not, I recommend you use a long puppy training lead. This will allow him to run about safely, but stay with him. Don't leave him alone in your yard, you just never know. Once he’s old enough to go into public places (usually after final vaccination at 12 weeks old – your vet will advise you) the sky’s the limit! You can easily learn how to teach your puppy to walk on a leash...walkies anyone? If you make sure that all of the above activities are included in your Cocker’s daily puppy care routine, three or four times each day, your puppy will thrive. As your baby develops and becomes fully house-trained, he'll still need a regular puppy care routine, but it won't be as 'busy' as the one above. Use your own judgement on this one as puppies are little individuals (just like our children); they often develop in different way and at different rates. If you have any questions or pressing concerns about puppy care, or your puppy’s health, don’t put it off, get in touch with your vet or veterinary nurse as soon as possible. 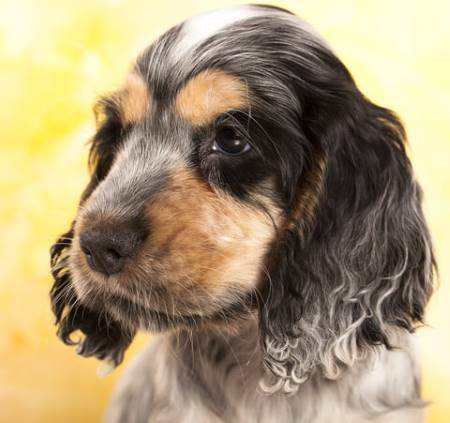 An well-behaved, happy, obedient Cocker Spaniel puppy is simply a joy to watch. Learn how to train your puppy and help to teach your little man (or lady) some good manners!